Koleia Bungard is a Colombian artist and writer, currently living in Tucson, Arizona. 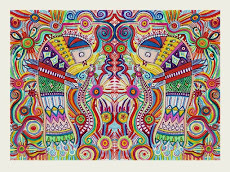 After a loooong trip around Latin America and United Stated, she decided to express herself through colorful paintings. Her art is an invitation to see the world as magic as children see it. If you are interested in any painting, please send an e-mail to koleias@hotmail.com. Thanks for your visit!